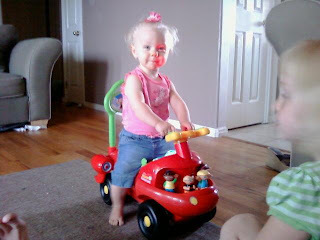 Blair Family Blog: Camrie playin. Wow! I can't believe how big Camrie is getting. She is so darling! "I'm a big kid now"!!! !